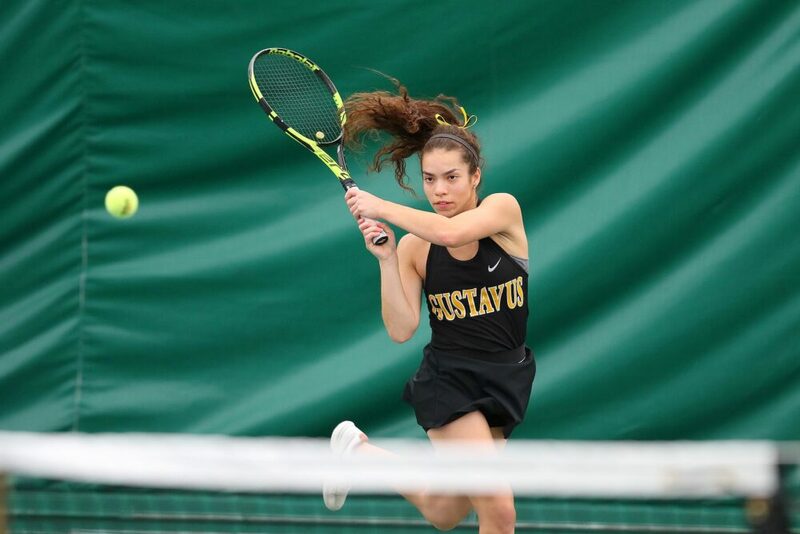 SAINT PETER, Minn. – The Gustavus women’s tennis team took on St. Catherine Sunday morning and came out with an 8-1 victory before taking on St. Benedict in the afternoon and winning 9-0. With the wins the Gusties improve to 17-11 on the year and 7-0 in the MIAC. The Gusties will be back in action on Saturday when they travel to Carleton for a 2 p.m. match.